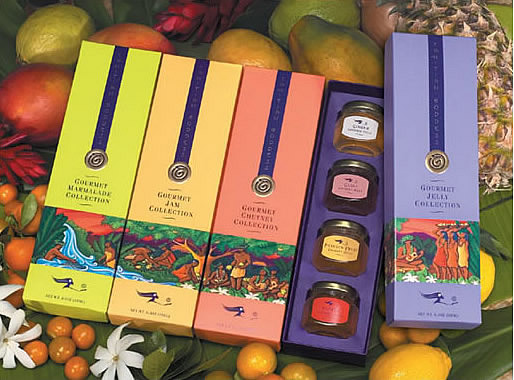 Tahitian Goddess gourmet jam, jelly, marmalade and chutney are inspired from exotic Polynesian flavors. Made on the idyllic north shore of Kaua`i, Tahitian Goddess gourmet products are hand made in small batches, with a reverence for time-honored cooking customs from Tahiti to Hawaii. Each batch is made from all natural ingredients, selectively and carefully prepared using locally grown, succulent Hawaiian fruits and vegetables and generations-old Tahitian recipes. Thousands of years ago the Hawaiian Islands were jewels, unseen by any man. 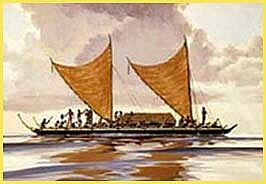 Bold navigators from Tahiti challenged the great ocean in their tiny voyaging canoes. Seeking the vision of their dreams, they brought with them their courage, families and traditions. Ever since, the beauty of Hawaii has enticed venturers from every corner of the world, bearing gifts of their cultures and customs. The unique heritage of Hawaii today grew from the blessings and aloha of all people who love her. We invite you to share a true taste of aloha, as you bring the unique tropical flavors of the Hawaiian Islands to your table with our Tahitian Goddess gourmet jam, jelly, marmalade and chutney. A delightful and delicious culinary experience from the islands.